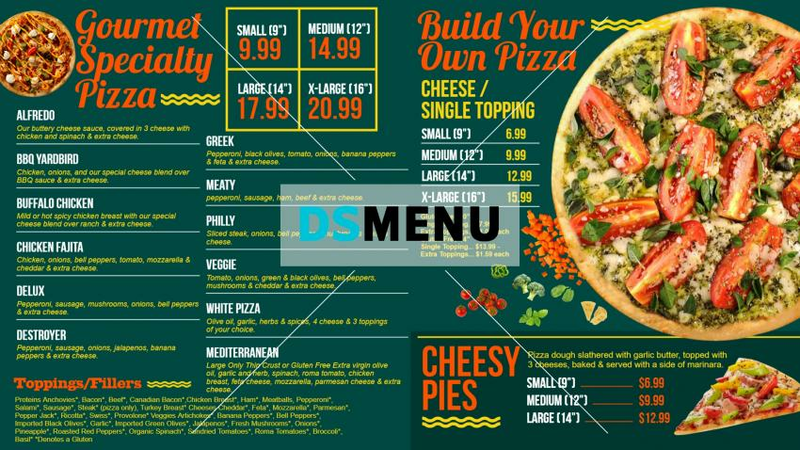 This eclectic pizza menu designed on a deep green background with suitable graphics present a sharp, modern and trendy design. The multi-color typeface in red and the white lettering contributes to the fasion statement of the menu. The menu highlights ‘build your own menu’ and the various sizes of the pizza with different price points. When on a digital screen, the menu will be illuminated for maximum impact.